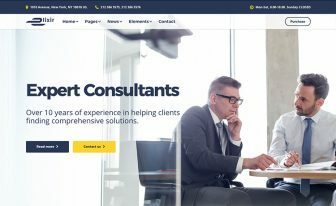 Make a difference with this free Bootstrap construction template while building a website for your company. It's mobile-ready, multi-page, and easy to edit. 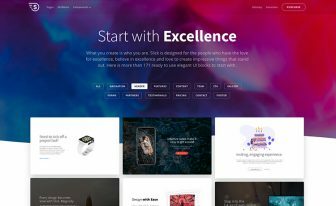 So innovative yet flexible, artistic yet user-friendly – Complex free Bootstrap construction template has it all. 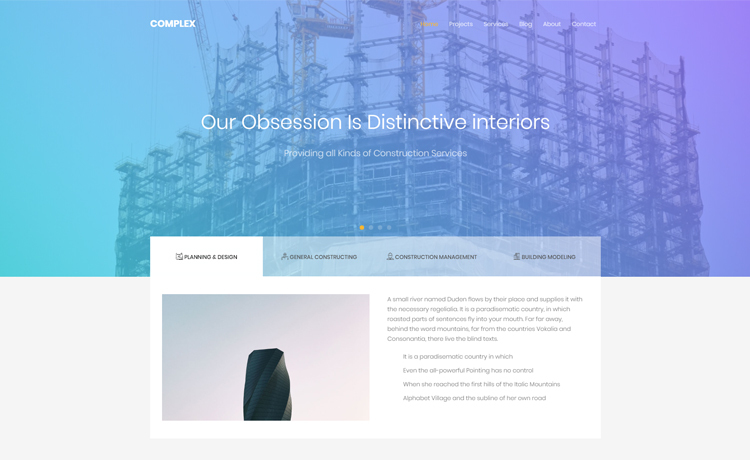 A stellar free website template for construction company and agency that helps people building houses. 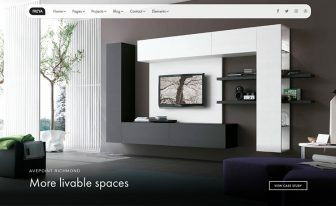 This free Bootstrap template brings a layout with attention to detail and responsive framework. Also, it’s so easy to edit even for someone as a tyro. The menu has a dropdown option while the charming carousel slider welcomes your readers on their first visit. Besides, a juxtaposed section built with tabs is a great place to include the services your company offers. Right behind that part, another section is made with flat icons and clean orientation. Not to mention that Complex incorporates parallax effect and counters to add some fun. Additionally, the multi-page layout of this free Bootstrap construction template has widely presented a number of brilliant features. For example, if you go to the project page, you can add your portfolio there. Moreover, apply the blog page for increasing organic traffic. In a nutshell, we love Complex which has other wonderful options such as accordions, carousel testimonial, and back to top button. Likewise, it will allow you connecting your users via newsletter subscription. The contact page along with Google Maps is a good place for communication, too. Finally, let your users get even more from the footer. Because it contains links, address, and social media icons. Apart from that, the Instagram feed will allow displaying recently taken nice images from Instagram. In other words, Complex is a perfect template for everyone. 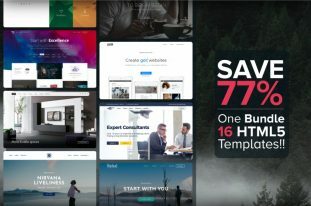 In the world of free HTML5 templates ThemeWagon is the most promising distributor. Get all the templates based on your industry. 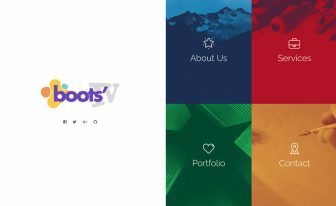 For having a seamless experience, you can check on our quality checked Bootstrap themes. Also, we have the most polished theme in Bootstrap marketplace. See Sparrow now. Please visit https://colorlib.com/wp/forums/ for support.